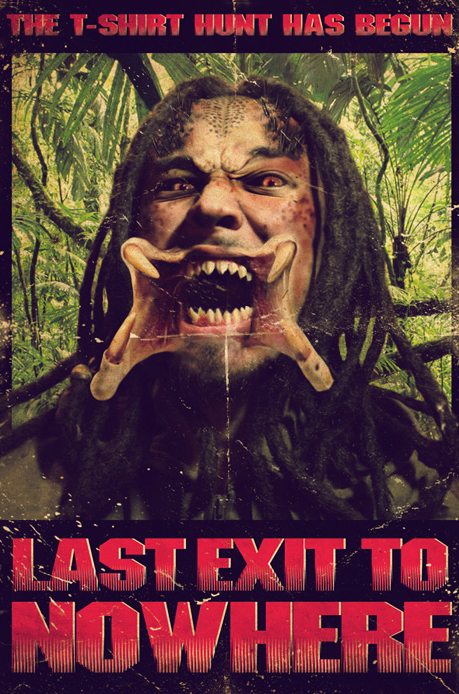 Kairhan Orymbaev receives 3 Last Exit T-shirts for winning our Best Picture of the Month competition with this neat Predator inspired image. Thanks again to everyone who got involved this month, as always it was really difficult to decide the winning picture. You can find some of the runners-up submissions in our Gallery section. If you’ve got an idea for our next Best Picture of the Month Competition then email it to us: info@lastexittonowhere.com – all images must reference Last Exit to Nowhere in some way and can be anything from a photograph to a fine art oil painting.